Recently whilst shopping with one of my brides at Chez Louise Bridal in Builth Wells (where I met the lovely Alison and saw some gorgeous dresses) a beautiful handmade brooch bouquet caught my eye! 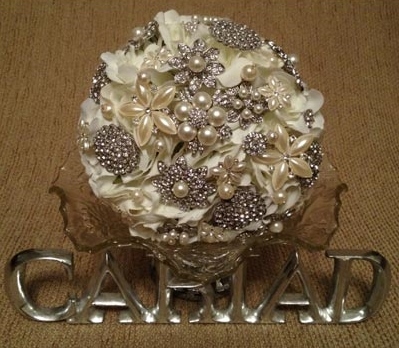 I thought what a fantastic idea, a bouquet that will keep and will be a forever reminder of your special day. It turns out that the very talented Lynnette Davies is responsible for these bouquets. 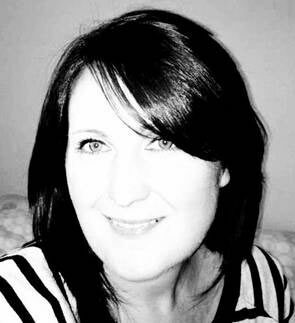 Lynnette of Cariad Wedding Services, a unique business based in Wales, designs and creates exquisite handmade wedding stationery, headwear and bouquets. 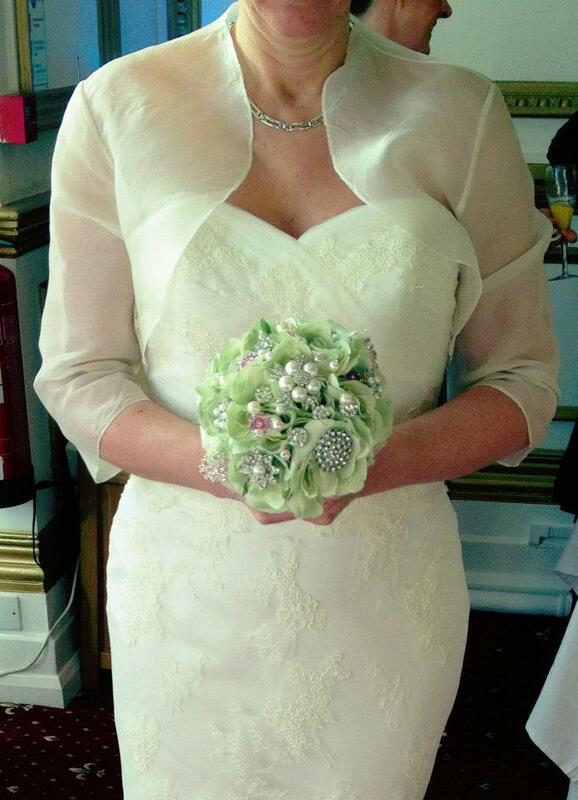 If you fancy something different with a vintage feel and want your bouquet to last then look no further. 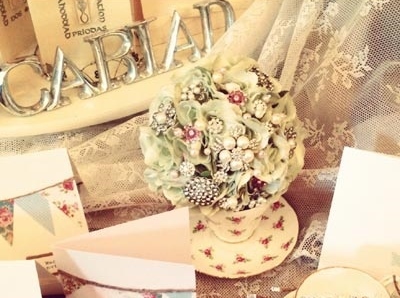 These amazing bouquets are made from artificial flowers covered with new and old brooches, pearls, crystal and diamantes. It can be kept and admired for years after and handed down. I wish I’d have known about these when I got married! Each one is individually handmade using the finest materials. Lynette sources new and old brooches and jewellery to make these stunning vintage inspired bouquets which can then be treasured forever. The best artifical roses and hydrangeas are used and can be made in a range of colours which are then completed with a tulle ‘skirt’ at the base and ribbon wrapped around the stems. Other accessories can then be added if needed. 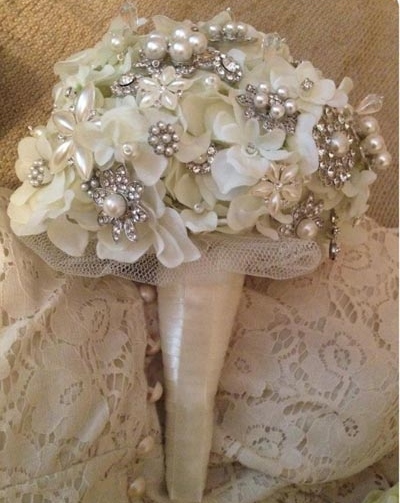 Lynnette will work with you to create a unique bouquet to your specificiations and will also include any piece of jewellery or family heirlooms. 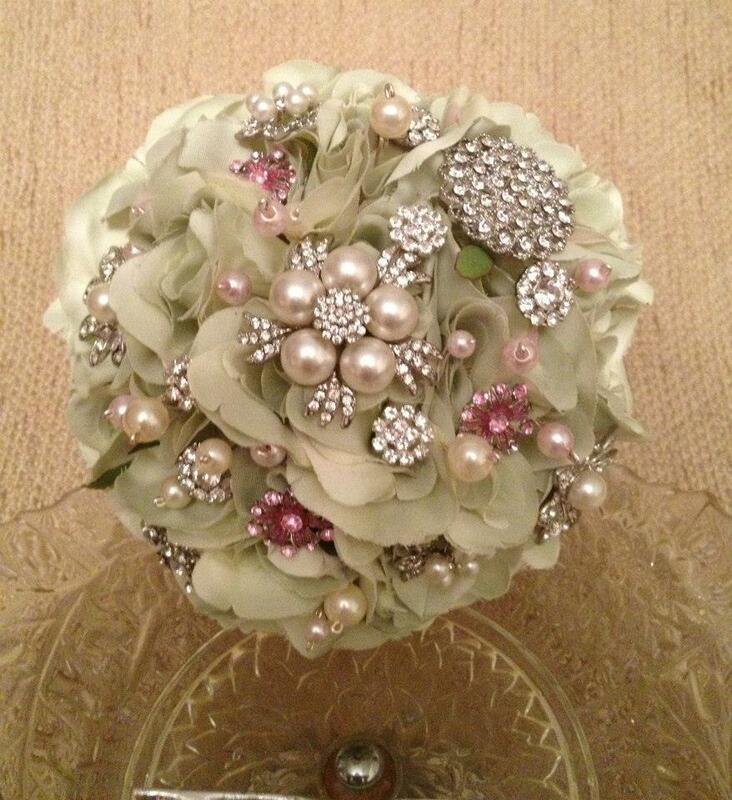 Bridesmaid bouquets can also be made on request.